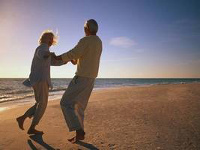 For our clients in the “prime of their life” we have prepared a special offer – 7-day stays for seniors. Don’t sit at home, just come for one week to Międzyzdroje and charge your vitality dose of positive and fresh energy. Come around and see how beneficial effect on your health has the sea air and special treatments offered by FWP Międzyzdroje. FWP branch in Międzyzdroje has specially prepared for its guests an exclusive spa and theraupetic offer stays. We offer to your disposal a wide range of terms that can be used. So everyone can choose a convenient time to get relax and enjoy the environment of the Baltic Sea.